This is great news for the area. 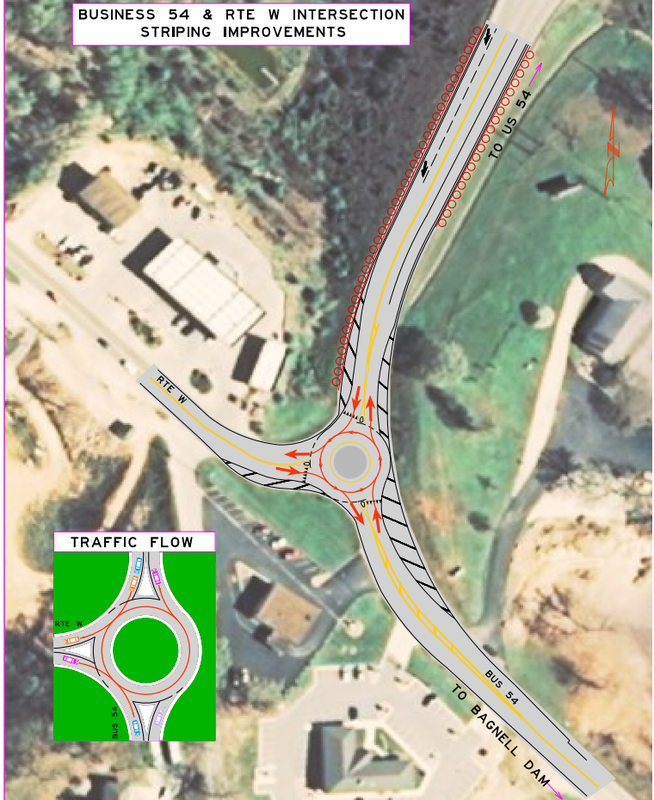 MODOT will be constructing a new roundabout for the intersection of Hwy W and Business 54 starting tonight. This intersection has been a source of many accidents, thankfully none fatal, over the past five years and is very confusing. The roundabout will slow things down for everyone, but should dramatically reduce, if not eliminate accidents. Construction is supposed to be completed by Tuesday. Update: Now that the new "turnstile" has been in use for a few weeks I think MODoT needs to expand the roundabout even larger. The problem is that the circle is so small that it is difficult to establish right of way easily. Most roundabouts are large enough that yielding to traffic already in the circle is obvious and intuitive. When small like this it reverts back to something more like a stop sign intersection.